Foresters actively plan, observe and manage for the health of the entire forest ecosystem. Foresters play a critical role in understanding and protecting multiple-use natural resources. The primary goals of a forester include managing natural resources for sustainable timber harvesting, and protecting forests for conservation and recreation purposes. The Landscape Processes option focuses on managing for forest disturbance processes, such as wildlife, landslides, insects and disease. Disturbance processes are important considerations in any actively managed forest, regardless of the specific management objective. Skills with these processes are particularly important for managing forests at the landscape scale and in the face of uncertainty and rapid change including climate or land use patterns. 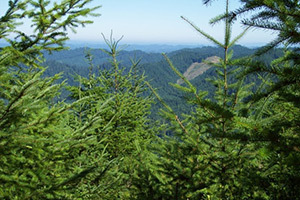 The UCC Forest Landscape Processes program prepares students for transfer to the Forestry bachelor’s degree program at Oregon State University (OSU). 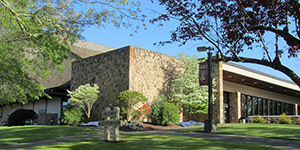 The curriculum is intended to meet the requirements for the first two years of coursework necessary for application to the professional program in the College of Forestry – Landscape Processes Option at OSU. Find out about jobs and career paths in Forest Landscape Processes. The Forest Landscape Processes curriculum is intended to meet the requirements for the first two years of coursework necessary for application to the professional program in the College of Forestry – Landscape Processes Option at OSU.